Send your taste buds on an arctic plunge with polar punch snow cone syrup from Hawaiian Shaved Ice. This cool neon blue flavor has a delicious punch flavor that you won�t find anywhere else. Stay super cool this summer when you take a bite of your polar punch sno cones. A flavor that really packs a punch to your taste buds! 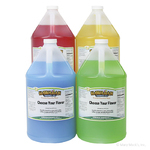 Kids will love the neon blue color of this snow cone syrup; use this shaved ice flavoring at your next birthday or summer pool party! Don�t miss out on staying cool this summer and feeling cool all year round! 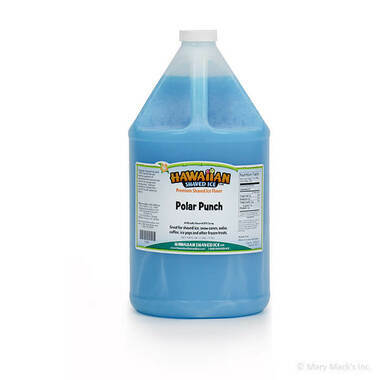 Grab a gallon of polar punch shaved ice syrup and chill out with your friends and family, no matter what the temperature is! 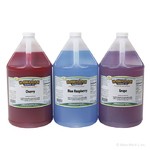 This flavor is also available in the quart size, or in an assorted package to combine with other great Hawaiian Shaved Ice flavors!